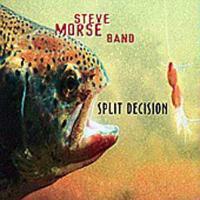 According to the liner notes, this album is named "Split Decision" because Morse had in mind two different albums, one a hard rocking collection and the other a sedate set of pieces. He said that Magna Carta allowed him to make one album with two sides, incorporating both ideas. While I feel that the decision to include both sides of the coin was a wise one, I question the way it was done. It seems that rearranging the tracks into a couple of mellower followed by a couple of harder, then back to the more sedate might have given more of a dynamic and contrasting feel to the album. As it is, with all the hard cuts first followed by the more gentle compositions, it feels a bit redundant at times. Still, all of the performances by Morse and his band (Van Romaine on drums and Dave Larue on bass) are top-notch, and for three guys they really make a lot of music. The album should certainly please fans of Morse and instrumental prog in general, but somehow it feels like a little advantageous arranging might have made for an even stronger release. Picked guitar starts this, and a Squireish bass line joins in, giving the track a texture for a time rather like Rush meets Yes. Then a harder, more gritty rock and roll zone takes over for a time. The cut sort of alternates between those two places. This one opens up cooking as a fusionish jam with definite neo-classical overtones. It is rather brief, but definitely smokes. As if Morse knew we needed a break from the rocking fury of the last piece, this one comes in fairly mellow. Don't relax too much, though, because it begins its rocking assault a little ways in. Shortly after that, though, it takes on an almost country sort of texture at times, but Morse definitely finds plenty of opportunity to lay down some tasty guitar work. Mechanical, maybe, but metallic neo-classical frenzy certainly brings this one screaming out of the gate. After a time it turns to more melodic and falls into a killer groove. The frantic fast textures do return, though, but the cut has a great bluesy style at its core. It also manages to drop back and give Dave Larue the chance for an awesome bass solo with a jazzy groove. This has a Native American sort of texture to the percussive intro. It then becomes an expansive type of piece with a jazzy texture, calling to mind the '70's work of Pat Metheny just a bit. This is a standout cut that gets more rocky at times and includes heavy doses of class and taste. 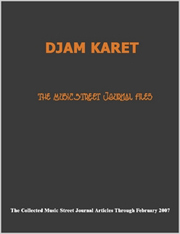 This one takes on a more straight-ahead approach, but manages to get a bit bluesy at times. The gentle tones certainly begin the piece in a pretty and sedate fusion mode. The percussion line on this cut is quite unusual, and the "hidden beast" does scream out, giving the track a great sense of contrast. The latter segments of this one take on a very frantic texture; due mostly to some of the coolest fast paced bass work this reviewer has heard in a long time. Beginning with pretty acoustically driven balladic stylings, this pretty melody gives the listener their first respite from the fury of the initial half of the album. The composition gets pretty involved as it moves along. If the last one had intricate and pretty melodies, this one is even more so, being a very gentle jazz oriented sedate number that becomes quite a rich prog jam. This one comes in feeling a bit like Pink Floyd, then shifts to a fairly intricate melody with more fusion oriented textures. It feels like a lazy summer afternoon watching the clouds go by. Aptly named, this tune feels like a bluesy acoustic jam on the back porch of a southern house. It is good clean fun. This composition is a mellow proggy jam that gets rather involved and has a nice melody at its core.